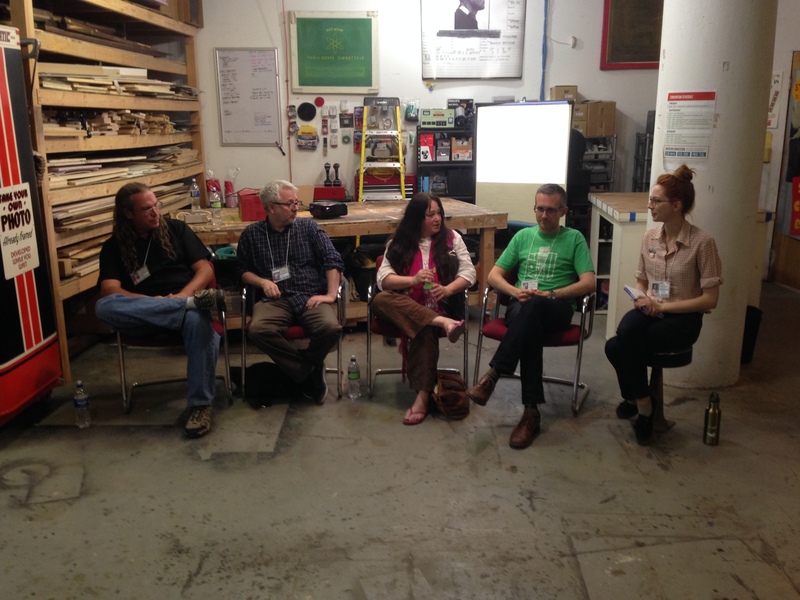 It’s been a busy few months around here, and as we end 2013, enter 2014, and prepare for the upcoming 2014 International Photobooth Convention, it’s time to take stock of the latest additions to the site. We start with Le Photomémo, un jeu de mémoire. This limited edition memory game uses beautiful vintage French Photomaton photos as the cards which players are challenged to remember and match. The game was created by Les instantés ordinaries; check out their site for this and other lovely photo projects. Thanks to Les Matons for sending us a copy! Next, a few locations. First, another Ace Hotel means another black and white photobooth, this one at the Ace Hotel, Shoreditch. Angelenos, now that I’ve moved from L.A., I’m counting on one of you to visit the new Ace Hotel there and send us info about their booth. 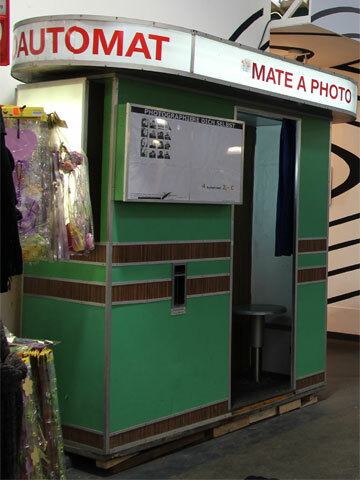 Next, a photobooth at a mall — yes, they still exist! This one is at the Illinois Star Centre Mall in Marion. Thanks to Stephanie for sending us the photos and info. And second, a new black and white machine at the Biltmore Cabaret in Vancouver, a project by Fotoautomaton. Please send us your location updates, as the world of photochemical booths is constantly changing, and we can only keep up with your help. As always, we have a few more TV shows to add to our ever‐growing tally, one old and one new. Thanks to Rob and Anthony for tipping us off to a great, fleeting photobooth appearance in the pilot of the “The Fugitive,” the television show that inspired the Harrison Ford film (which also features a photobooth, strangely enough). And second, from 2012, an episode of the U.K. children’s TV show “Shaun the Sheep,” part of the wonderful family of Aardman creations, in which Shaun has to visit a photobooth when he discovers he’s accidentally been cut out of the farmer’s family photo. Thanks to Katherine for the tip. Two recent films have been added to our list over the last few weeks, both contributed by our French friends Les Matons. First, from the trailer of Jonathan Caouette’s Walk Away Renee, we see some of the same photobooth photos of Caouette and his mother, Renee, that he used in his first film, Tarnation. Second, a French romantic comedy, La chance de ma vie, in which a photo‐themed rom‐com montage features some photobooth‐style photos. Finally, the biggest event for me in the past few months: a visit to Auto Photo Canada in Montréal. 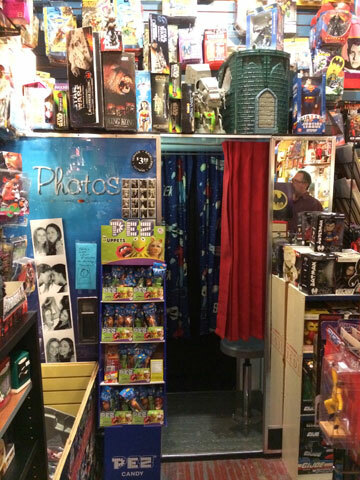 For more than ten years, I’d been hearing about the Grosterns and their photobooth business, and I’d always wanted to have an opportunity to visit. A trip to Montreal in November, which involved cold weather and a lot of free time, offered that chance. After a false start in which I ended up at their old warehouse, which they’d vacated months before, I spent a great afternoon with Jeff and George and their colleagues, talking booths and listening to their great stories. I’m very grateful to Jeff and George for their hospitality, and for taking the time to show me around the offices, warehouse, and shop. I got to hear first‐hand the long and illustrious history of Auto Photo Canada, and see their machines and their process in action. Meags Fitzgerald was working on a project there that day, as well, so it was a nice chance to catch up with her, too. My visit once again proved that the photobooth business is filled with interesting, friendly people, and I was very glad to have had the chance to stop by. We’ll be planning the Convention in Chicago over the next few months, and will have more updates as soon as they’re available. Happy new year! The long (and long‐awaited) renaissance of the photochemical booth in Europe continues with new booths in Manchester, England and Florence, Italy. Thanks to Paul at Fred Aldous and Matteo with Fotoautomatica for keeping us updated on their latest additions. 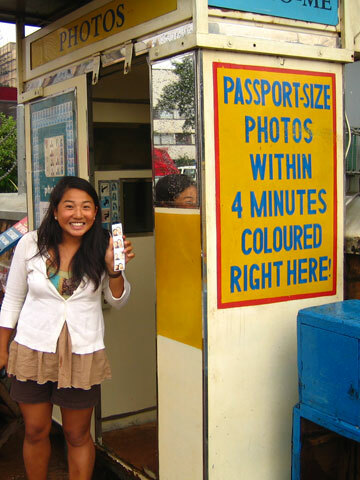 The new color photobooth at Fred Aldous joins their lovely black and white machine, which they installed last year. It’s great to see a full complement of black and white and color booths in the north of England. With these booths in Manchester and London covered as well, plus a booth in Dublin, we just need some booths in Scotland, Wales, and Northern Ireland to round out the Isles. Fotoautomatica adds to their stable of black and white machines in Florence with a new machine on Via del Proconsolo (pictured at right). 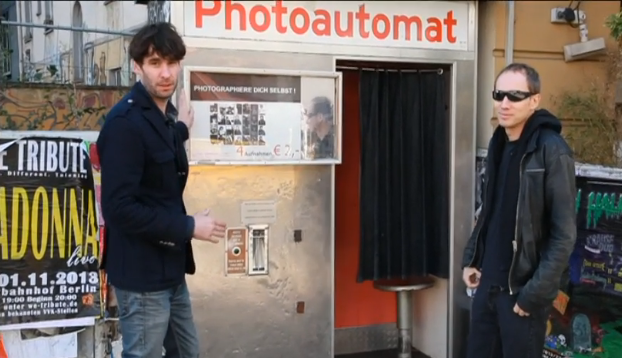 We’re excited to see the proliferation of machines in Italy, and we can make a Photobooth.net pilgrimage to visit them some day. Apologies all around for the recent dormant spell here on the blog. My photobooth focus lately has been on figuring out how to get my own Model 14 photobooth out of the shed and across the country, rather than the larger photobooth world. During the last month, I’ve finished working at my job in Los Angeles and will be heading to Connecticut to start a new job. Photobooth.net West will become Photobooth.net East again, just as I was when this site started almost ten years ago. I have a few little additions that have arrived in the last few months to present today, but I haven’t sought out much news, and will continue to be occupied with other things over the next month or so. Needless to say, after a perhaps slightly fallow year for the site in 2013, it looks like 2014 is going to be another busy one here at Photobooth.net. Stay tuned, and we’ll keep you posted. First, our friend Scot at the Massilon Museum in Ohio sent us a short promo video for their upcoming Warhol exhibition, complete with their lovely black and white photobooth for museum goers to take photos in. 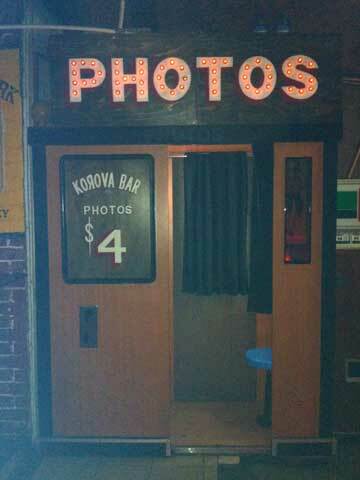 Next, thanks to Tony for sending us an account of his Portland Photobooth Hunt. It was great to read about his travels around Portland, searching for and using photobooths, using our site as a guide. It reminded me of my Chicago Photobooth Marathon a few years back, though his was a good deal more successful than mine. 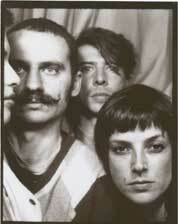 Thanks to Marco for sending in photos from a new photobooth location, the Hoxton Hotel in London. 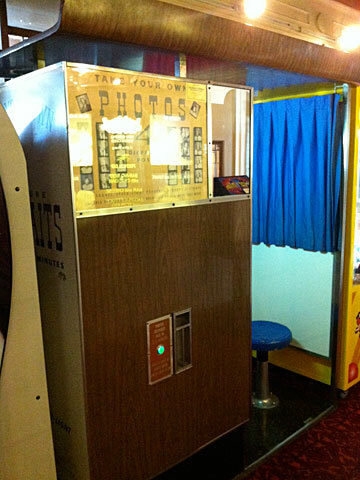 The booth, an Auto‐Photo Canada machine, looks right at home. We appreciate the excellent sample photo Marco sent, as well. Slowly but surely, London is returning to the map in terms of photochemical machines, which we’re very happy to see. And speaking of London booths, Time Out London published a guide to black and white photobooths in London. Thanks to Sophie for the tip. We also heard from our friend Jan Wenzel recently, who let us know about his new solo show at the Klaus Kleinschmidt Gallery in Wiesbaden, Germany. These new pieces were created in a black and white booth, which is a bit of a departure for Jan.
Jan’s show is currently open, and will run through September 20. If anyone goes to see it, we’d love to hear what you think. I have been using photo‐booth as a way to blur out intentions and ownership. I print my photographs large enough so they cover the whole range of the photo‐booth lens and let them be re‐photographed. The result offer this odd quality, something similar to those of found photographs. With this event, I want to play with the real/fictional by combining people and photographs within the frame, blurring out people and people in photographs… By asking people to bring their own photographs, I also want to remix personal stories by switching photos and people, creating little scenography. I plan on being there, and I hope other Los Angeles‐area photobooth fans will stop by and participate in the project.